The formulation of a rod element will be considered using two approaches, namely the use of fundamental equations, based on equilibrium, compatibility and constitutive (i.e. stress/strain law), arguments and use of the principle of virtual work equation. Consider the structure shown in Fig. 9.18, for which the deformations (derived from the displacements), member forces, stresses and reactions are required. Idealising the structure such that all the members and loads are taken to be planar, and all the joints to act as fric-tionless hinges, i.e. pinned, and hence incapable of transmitting moments, the corresponding behaviour can be represented as an assemblage of rod finite elements. 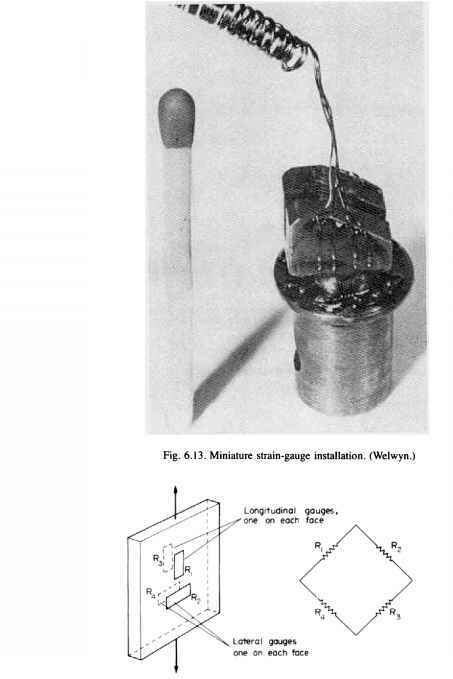 A typical element is shown in Fig. 9.22, for which the physical and material properties are taken to be constant throughout the element. Changes in properties, and load application are only admissible at nodal positions, which occur only at the extremities of the elements. Each node is considered to have two translatory freedoms, i.e. two dof., namely u and v displacements in the element x and y directions, respectively. Fig. 9.22. 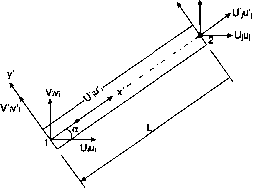 An axial force rod element. which are force/displacement relations similar to eqn. (9.6), and hence satisfy internal element equilibrium, compatibility and the appropriate stress/strain law.